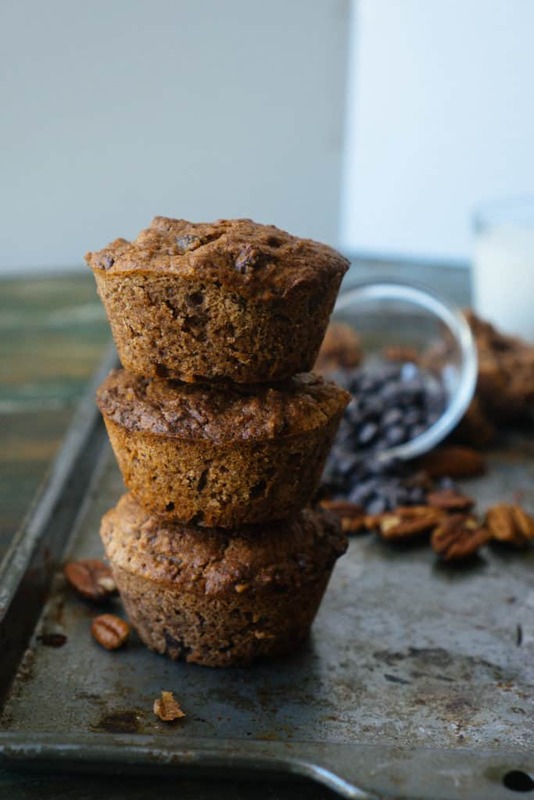 We can never have too many muffin recipes, especially when it comes to these Keto Pecan Muffins filled with toasted pecans and lilys chocolate chips! It's a simple recipe that you can whip up for a quick snack and after dinner treat in no time. Pack these in your kids lunches or grab one on your way out the door to work for filling treat! Pecan Desserts All Year Long! My all time favorite dessert before going keto was pecan pie. I wouldn't even look at any of the other pies at holiday gatherings. Soon after starting keto I realized it wasn't my love for pecan pie, but really my love for pecans! So, I've turned into a pecan dessert all year long type of girl. If you're also a lover of pecans give our Pecan Sandies or make our Keto Brownies and toss in some pecans for added texture and flavor! This Would Be A Great Frosted Muffin! The simple creaminess of a vanilla buttercream frosting or even a simple cream cheese frosting would pair perfectly with these moist, dense keto pecan muffins! Frosting is one of the easiest additions to whip up and takes any dessert to the next level. If you love a good muffin, than you are guaranteed to love a frosted muffin! My favorite combination lately has been chocolate and pecans. I can't believe I didn't know how incredible of a combo it was until recently! My late night snack has been a handful of pecans and Lily's chocolate chips and it hits the spot every time. 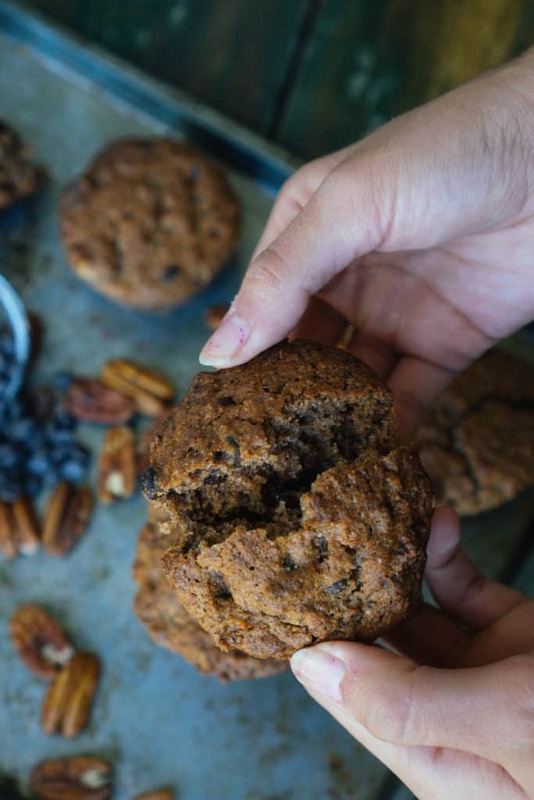 Whether or not you agree we know you'll love these Keto Pecan Muffins! Note: I am no longer allergic to nuts - this video was recorded before I found out I was misdiagnosed. Sorry for any confusion! 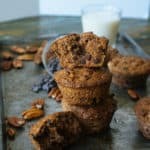 Recipe can be quickly added to MyFitnessPal - Search "KetoConnect - Keto Pecan Muffins"
Preheat your oven to 350 degrees. Add the pecans to a sheet pan and toast for 10-12 minutes. Add the melted butter, eggs, hwc, vanilla and stevia to medium bowl and combine using a hand mixer. Add the remaining ingredients, except for the pecans and chocolate chips and combine one more. Fold in the chocolate chips and toasted, chopped pecans until evenly combined. Grease a muffin tin and distribute the batter among 6 - it will make 6 large muffins. Allow to cool for 5 minutes and enjoy! Best stored in the fridge in a zip top bag.